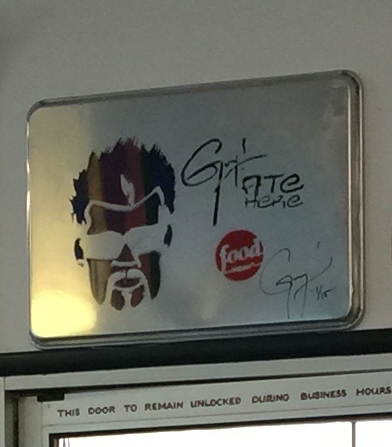 Guy Fieri was in Bakersfield recently to visit several restaurants for Food Network's Diners, Drive-Ins and Dives, and I ate breakfast at one of them. Pumpkin pancakes in March? Why not! 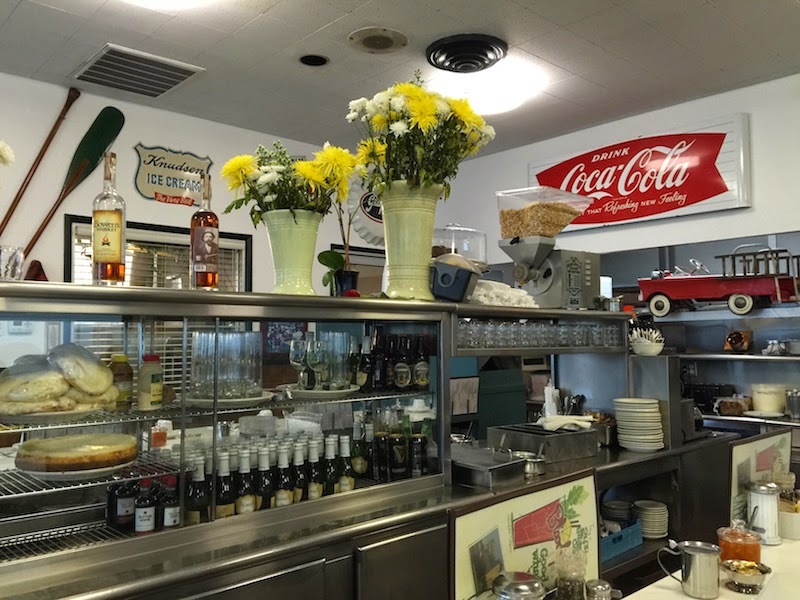 Read my full review of 24th Street Cafe in Bakersfield with pictures after the break. 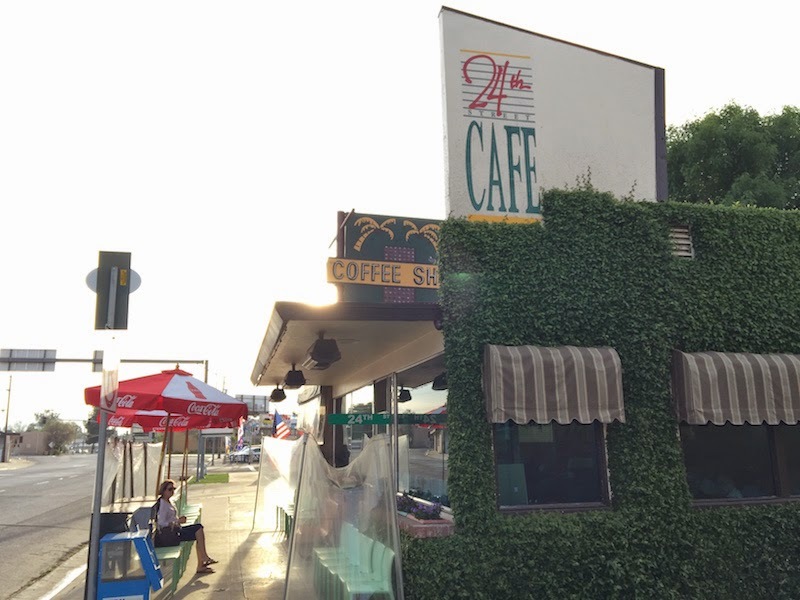 24th Street Cafe is an old, comfortable coffee shop with plenty of booths and a long counter. The friendly waitresses are on the job keeping your coffee cup full, and chatting up both locals and new-comers alike. I arrived at 7:00 AM on a Sunday morning and the place was already half full, mostly with locals but a few visitors such as myself. I read that Guy tried the pumpkin pancakes so I asked if I could get just one on the side. I'm glad I asked for only one, because it covered the entire plate! The aroma of this pancake wafted in as the plate was brought to my place at the counter. It smelled delicious! And it tasted even better. It is seasoned with exactly the right amount of cinnamon and nutmeg, and the pumpkin flavor is delicious without being too much. On the side is a pat of butter, and also a pat of sweet butter which is loaded with sugar and spices. 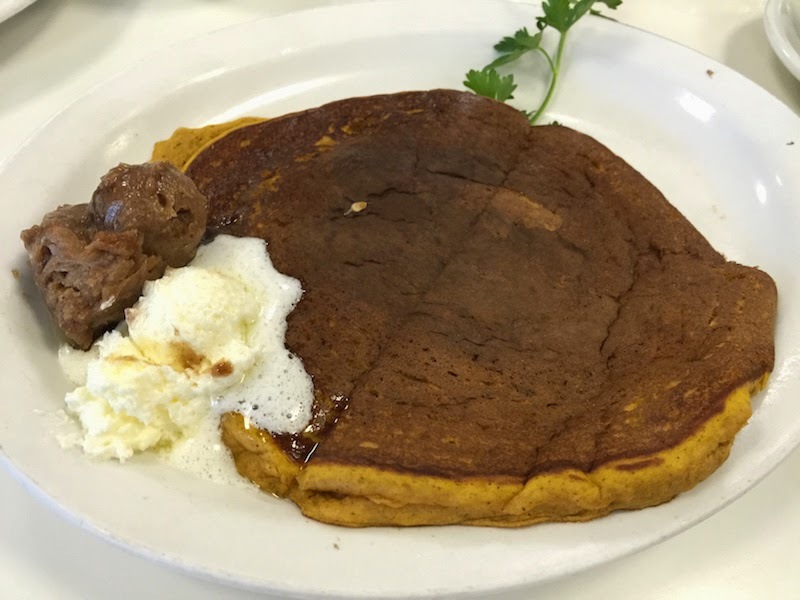 The pumpkin pancake is so good it's hard to describe. Imagine a slice of the best pumpkin pie you've ever had, topped with whip cream, and then with butter and syrup. I ate the whole thing before I got to the rest of my breakfast. Next time I'll get the full stack! I also had the Chicken Fried Chicken, which is what happens if you replace the beef in Chicken Fried Steak with a chicken breast. It is pounded flat and fried exactly like a chicken fried steak, and sits on top of the gravy. It tastes exactly like you think it does, if you've had a chicken fried steak. Very good! 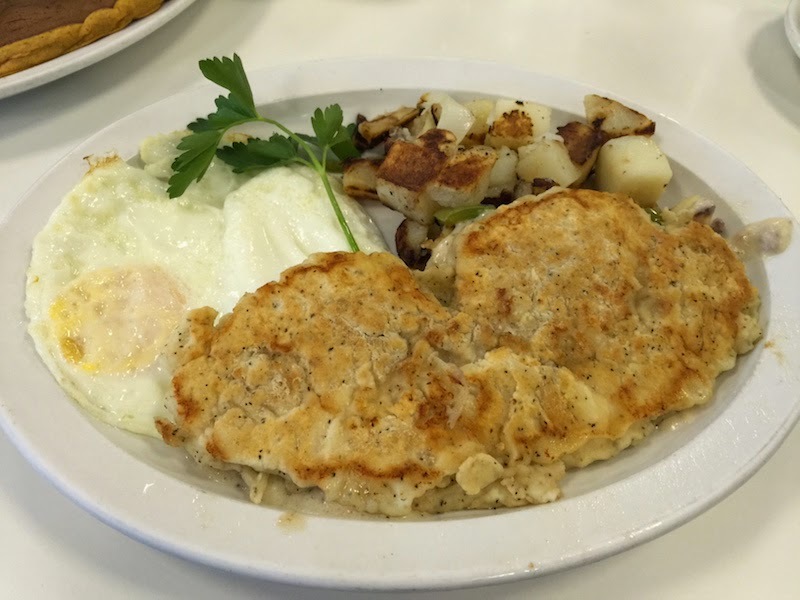 It's served with eggs and home fries (or hash browns). 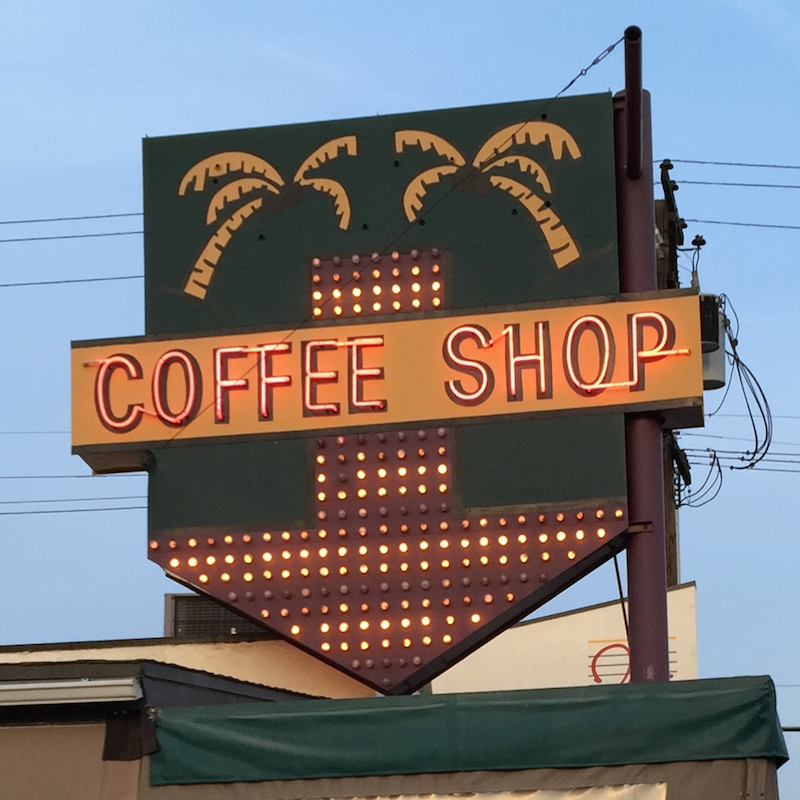 TIP: 24th Street Cafe is a breakfast and lunch joint, and closes at 2:30 PM. Another great find from Guy Fieri and Diners, Drive-Ins and Dives. I'll be back!